Caution: DO NOT INSTALL INTO NURSE TANKS. 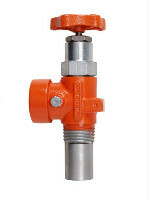 Riser valves are only to be use with pump service only. These can be installed into any pipe connection and will work as designed. Can be for liquid or vapor service. The low profile excess flow check works great when installed directly into tee’s.